Vermont Gov. Howard Dean would occasionally stop by the Valley News offices to speak about issues he and the state were working with. When I noticed the governor had slipped off his shoes, I was pleased to get a different photograph from a predictable situation. Vermont Gov. 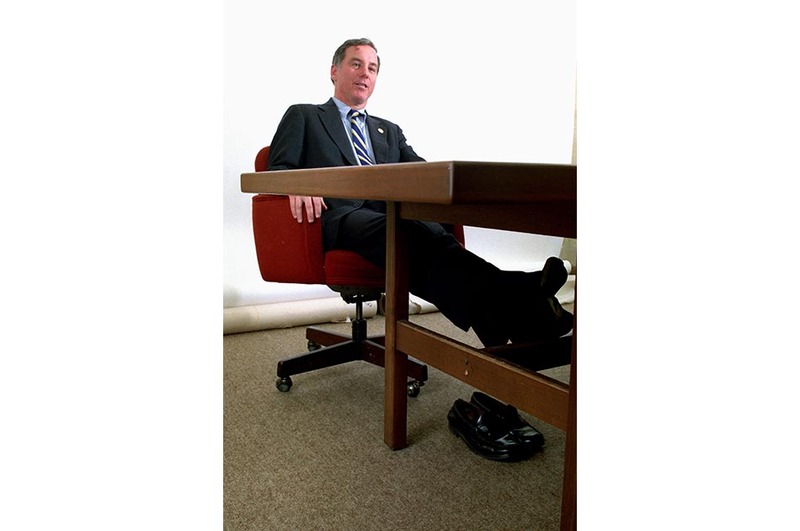 Howard Dean rests his feet while talking with the editorial board at the VALLEY NEWS in West Lebanon, N.H., in April 1994. Dean, who was a five-term governor, ran for president as a Democrat in 2004.